The term «interstitial lung diseases» refers to a large heterogeneous group of diseases that differ in etiology, pathogenetic mechanisms of the development, clinic as well as therapeutic approach and result in primary lesion of the pulmonary interstitium. The lecture highlights the current scientific data on risk factors, pathogenesis, clinic, diagnosis and principles of treating intrathoracic sarcoidosis in adolescents. Key words: adolescents, intrathoracic forms of sarcoidosis, clinic, diagnosis, therapy. 2. Belozerov YuM. (2008). Pediatric cardiology. Moscow. MEDpress-inform: 600. 3. Paleev NR (ed). (2000). Respiratory diseases. Moscow. Meditsina: 610-636, 656-667. 4. Vizel AA, Vizel IYu. (2010). Modern aspects of the epidemiology of sarcoidosis. Pulmonology. 6: 104-108. 5. Vizel AA, Gurileva ME. (2004). Pediatric sarcoidosis. Pediatria. G.N. Speransky Journal. 2: 67-70. 6. Gavrisyuk VK, Gumenyuk GL, Merenkova YeA, Bychenko OV. (2016). Principles of glucocorticosteroid therapy for patients with pulmonary sarcoidosis. 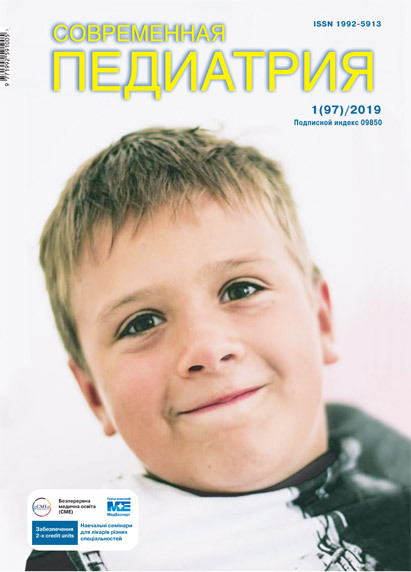 Ukrainian Therapeutic Journal. 1: 91-96. 7. Gavrisyuk VK, Gumenyuk GL, Merenkova YeM, Bychenko OV. (2016). Hypercalcemia in pulmonary sarcoidosis is not associated with grade of severity, clinical course and effectiveness of treatment. Ukrainian Pulmonology Journal. 2: 10-13. 8. Gumenyuk GL, Merenkova YeA. (2016). Perspectives of methotrexate use in treatment of pulmonary sarcoidosis patients. Ukrainian Pulmonology Journal. 2: 14-18. 9. Gumenyuk GL, Merenkova YeM, Bychenko OV. (2015). Asymptomatic debut of pulmonary sarcoidosis: the rate of spontaneous regression and progression. Ukrainian Pulmonology Journal. 2: 46-51. 10. Gumenyuk GL. (2015). Clinical symptoms, CT-signs, lung ventilation and diffusion disturbances in sarcoidosis patients with pulmonary parenchymal involvement. Ukrainian Pulmonology Journal. 3: 13-19. 11. Yerkovych NO. (2016). Sarcoidosis as a relevant problem in modern medicine: a literature review. A case of combined systemic sarcoidosis. Molodyi vchenyi. 9: 131-136. 12. On approval and implementation of medical and technological documentation on standardization of medical care for sarcoidosis. The order of Ministry of Health of Ukraine of 08.09.2014, No 634. 13. Mutafyan OA. (2008). Pediatric cardiology: a guideline. Moscow. GEOTAR- Media. 504p. 14. Gavrisyuk VK (ed). (2016). An essay on clinical pulmonology. Kyiv: 336. 15. Feshchenko YuI, Yashina LYa (editors). (2008). Rational diagnostics and pharmacotherapy of respiratory diseases. Kyiv. Zdorovye: 265. 16. Samsonova MV, Chernyaev AL. (2017). Granulomatous lung diseases. Pulmonology. 27(2): 250-261. 17. Chernichenko NV, Susarev IO, Murzin YeYu et al. (2017). Bronchial pseudotumor in sarcoidosis: a rare case. Pulmonology. 27(1): 103-107. 18. Eskarenko OV, Kharlap SI, Safonova TN. (2012). Sarcoidosis: epidemiology, risk factors, clinical manifestations. 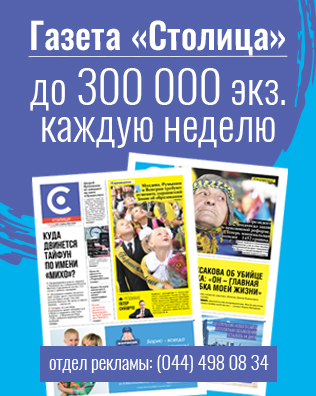 Vestnik oftalmologiyi. 128(3): 42-48. 20. Baughman RP, Zower EE, du Bois R. (2003). Sarcoidosis. Lancet. 361: 1111-1118. 21. Cordova FC, D’Alonzo G. (2013). Sarcoidosis-associated pulmonary hypertension. Current Opinion in Pulmonary Medicine. 19(5): 531-537. 22. Dobarro D, Schreiber BE, Handler C et al. (2013). Clinical characteristics, haemodynamics and treatment of pulmonary hypertension in sarcoidosis in a single centre, and meta-analysis of the published data. Journal of Cardiology. 111: 278-258. 23. Dubrey S, Shah S, Hardman T, Shanna R. (2014). Sarcoidosis: the links between epidemiology and aetiology. Postgraduate Medical Journal. 90: 582-589. 24. Galiè N, Humbert M, Vachiery JL, Gibbs S et al. (2015). 2015 ESC/ERS Guidelines for the diagnosis and treatment of pulmonary hypertension. European Respiratory Journal. 46: 903-975. 25. Jannuzzi MC, Fonfana JR. (2011). Sarcoidosis: clinical presentation, immunopathogenesis, and therapeutics. JAMA. 305: 391-399. 26. Maimon N, Salz L, Shershevsky J et al. (2013). Sarcoidosis-associated pulmonary hypertension in patients with near-normal lung function. International Journal of Tuberculosis and Lung Disease. 17: 406-411. 27. Msaad S, Ketata W, Abid N et al. (2013). Pseudotumor phenotype of sarcoidosis: about two cases. Revue des Maladies Respiratoires. 30(9): 794-800. 28. Muller-Quernheim J. (2008). Sarcoidosis: immunopathogenetic concepts and their clinical applications. European Respiratory Journal. 12: 716-738. 29. Patterson KC, Strek ME. (2013). Pulmonary fibrosis in sarcoidosis. Clinical features and outcomes. Annals of the American Thoracic Society. 10: 362-370. 30. Rossman MD, Kreider ME. (2007). Lesson learned from ACCESS (A Case Controlled Etiologic Study of Sarcoidosis). Proceedings of the American Thoracic Society. 4(5): 453-456. 32. Shino MJ, Lynch JP, Fishbein MC. (2014). Sarcoidosis-associated pulmonary hypertension and lung transplantation for sarcoidosis. Seminars in Respiratory and Critical Care Medicine. 35: 362-371. 33. Simonneau G, Gatzoulis MA, Adatia I et al. (2013). Updated clinical classification of pulmonary hypertension. Journal of the American College of Cardiology. 62: 34-41.